Get to know the functions of the wbcp records committee. read about the work the members of the committee do and how you can contribute to philippine wild bird records. 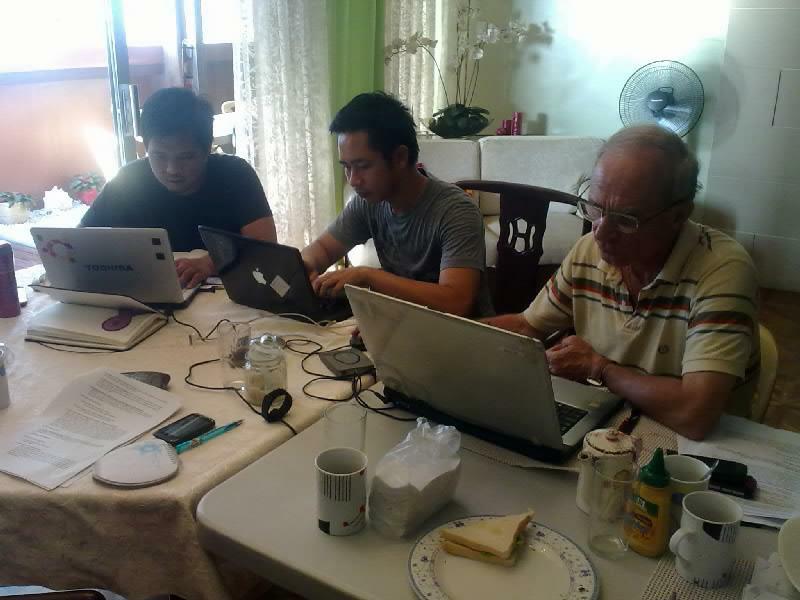 From left to right: Jops Josef, Mark Jason Villa, and Arne Jensen working on the annual report for Philippine bird records during a recent Records Committee Meeting. Photo by Arnel Telesforo. to secure that information on the occurrence of wild birds in the Philippines under the name of WBCP, and is reported and documented following standards for similar international birds clubs and societies. When you submit your trip reports and random reports, this information is forwarded to the Records Committee. Within the committee, the members have different tasks to carry out. Approval of sightings – When you send in your bird lists, designated members of the committee read through your list and approve it for posting on the birdwatch egroup as well as for inclusion in the Philippine records and the bird records database. Encoding – When a trip report comes in and is not in the proper format or if no Excel file is sent, designated members of the committee are tasked with encoding these lists in the proper form so that they can be included in the Philippine records database. Updating the database – The Records Committee works with a database which covers all reported sightings, sites and birders. Designated members of the committee are tasked with uploading all approved lists into the database to keep it updated. Generating annual reports – One of the goals of the Records Committee is to make public all bird reported sightings the Committee has received. All the approved reports you have submitted will come out in the annual report. The Records Committee also organizes the information birders need. The committee periodically updates a preliminary list of Philippine birds and has added a number of species over the last few years. Some of the more recent additions include the Tundra Bean Goose and the Greater White-fronted Goose (as reported by Alex Loinaz in 2011). Aside from bird species, the Records Committee also tracks and records the sites around the Philippines where birds can be found. On the basis of your reports and bird lists, the committee has expanded the number of birding sites from 125 in 2003 to more than a thousand in 2012. The Records Committee merely verifies records and compiles them into a database of bird species and birding sites. The information comes from birders in the field who report their sightings. It is vital that people continue to send in their bird lists and trip reports to enable the Committee to keep track of the birds and keep the database up-to-date. So, send in your bird lists and trip reports so the Records Committee can include your sightings in the database for Philippine birds.